New Factory Style Wiper Linkage for 69-77 Classic Ford Broncos with Electric Wipers. Our factory style wiper linkage is the ONLY early Bronco wiper linkage on the market that has properly fitting wiper blade splines. 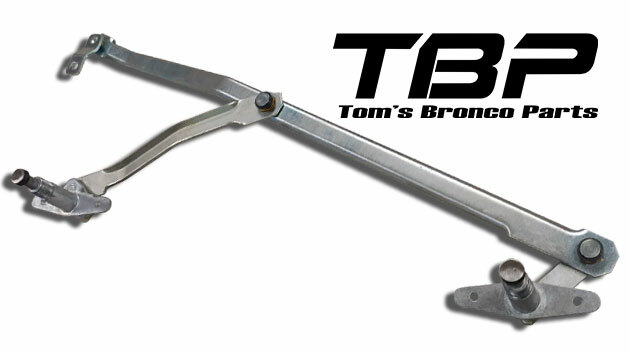 Just another small touch that makes Tom's Bronco Parts your go-to supplier for quality Bronco parts!